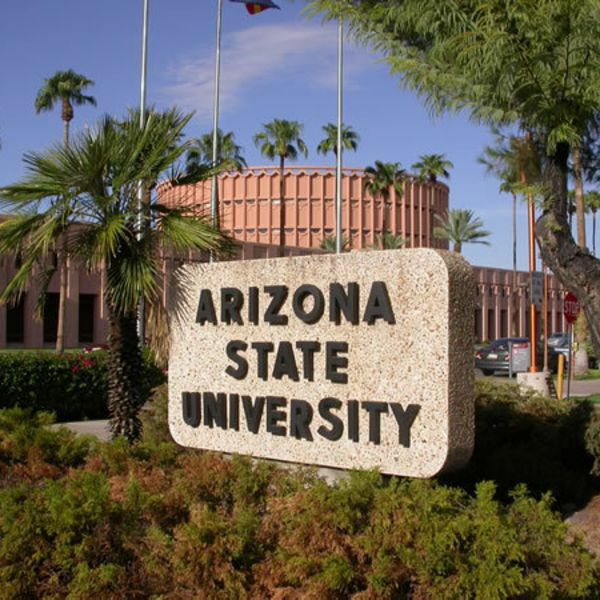 Arizona State University is a national space-grant institution and public metropolitan research university located in the Phoenix Metropolitan Area of the U.S. state of Arizona. It is the largest public university in the United States by enrollment. 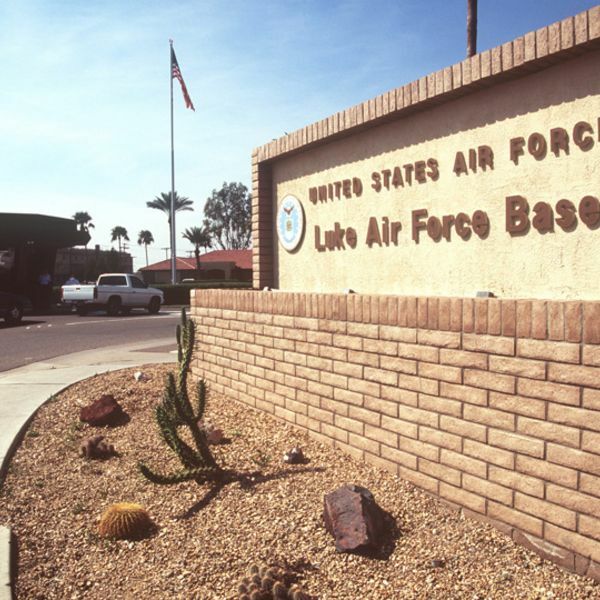 Luke Air Force Base is a United States Air Force base located seven miles west of the central business district of Glendale, in Maricopa County, Arizona, United States. It is also about 15 miles west of Phoenix, Arizona. 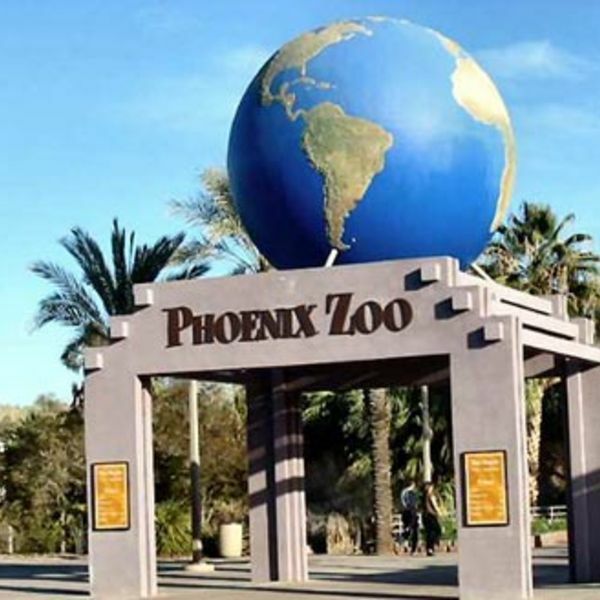 The Phoenix Zoo opened in 1962 and is the largest non-profit zoo in the United States. Located in Phoenix, Arizona, the zoo was founded by Robert Maytag, a member of the Maytag family, and operates on 125 acres (51 ha) of land in the Papago Park area of Phoenix. It has been designated as a Phoenix Point of Pride. 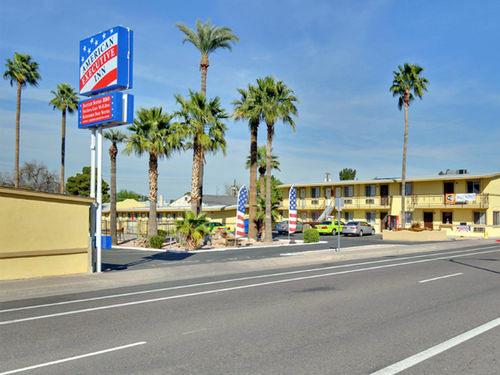 Visitors to the Valley of the Sun will find this hotel is ONLY ONE BLOCK AWAY FROM THE LIGHT RAIL and center to everything that Tempe, Mesa, Scottsdale, Gilbert, and downtown Phoenix has to offer. Corporate travelers will be just minutes to Arizona State University, Intel Headquarters, Banner Desert Medical Center, Luke Air force Base, Boeing Manufacturing Plant, and Alliant Techsystems. Chicago Cubs Spring Training - 1 mile and Oakland A's Training Facility - 3 miles. 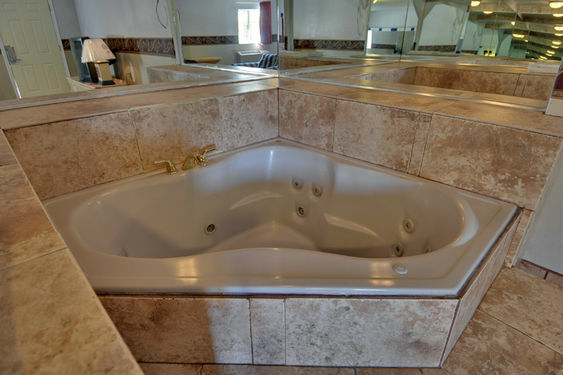 Travelers looking to have some fun will be near Golfland Sunsplash, Big Surf Waterpark, Fiesta Mall, the Phoenix Zoo and Botanical Gardens, Mesa Golf and Country Club, and Casino Arizona. 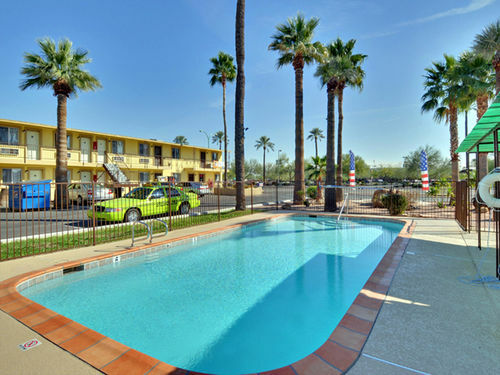 After a day in the Arizona sun, guests will enjoy relaxing in the outdoor pool, free wireless internet through out the air conditioned property, and picnic area with BBQ for a late night cookout. 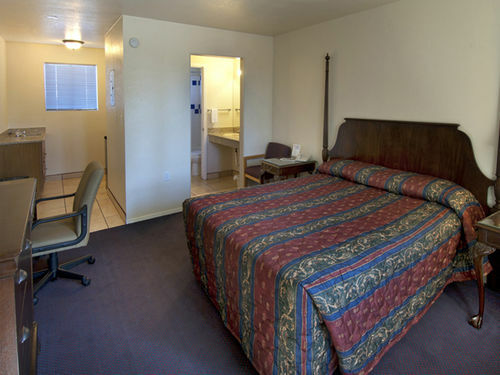 Guest rooms offer queen beds and come equipped with cable TV, microwave, refrigerator, and free local calls. 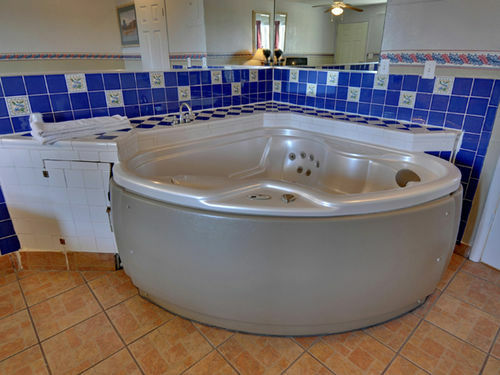 Guests can also select rooms with kitchenettes or suites with a Jacuzzi. Iron and boards may be available at the front desk at check in.